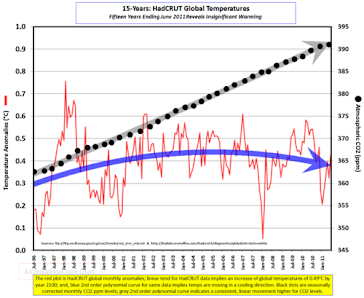 Climate Common Sense: Mann says Hockey Stick should not have become Icon! You Don't Say! However Prof Bob Watson, a UK Government adviser on climate change, said even if severe global warming is not certain it is worth preparing for the higher temperature projections. "What risks are we willing to take? The average homeowner probably has fire insurance. They don't expect a fire in their home [but] they are still willing to take our fire insurance because they don't want the risk and there's probably a much better chance of us seeing the middle to upper end of that temperature projection than a single person saying they'll have a fire in their home tomorrow morning," he said. Bob Watson predictably goes with precautionary principle argument but what he doesn't say is the cost of his insurance to the householder, unlike fire insurance, is prohibitive ! Following his flawed logic no one would fly without a parachute because the aircraft could crash ,ocean liners would carry thousands of lifeboats, and automobile travel would be entirely too dangerous. However we routinely ignore the precautionary principle in our daily lives because of the convenience of modern technology and accept that there are always risks associated with modern life. 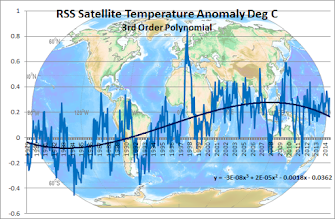 However I must say that Louise has written a more balanced article than usual ,but has been guilty of using the devices of primacy and recency to underline the warmist view by starting with a "factual" statement about Mann's graph and finishing with a stump speech by uber-Warmist Bob Watson . The skeptics views are buried in the middle which is not ideal, but previously they would not have been there at all, so I suppose we have to be thankful for small mercies.